LOVE, the key to your heart. LIVE & LAUGH for a good life, WISH & HOPE for congratulations. A key for every occasion! 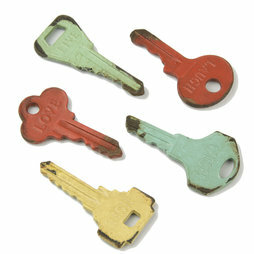 Patinated in different colours, they add a vintage look to your fridge or magnetic board.